Mondaine extend their range to every level and now supply us with this fantastic pocket watch which carries the traditional Swiss railway design. A quartz movement is encompassed within the polished stainless steel case and ensures reliability along with accuracy, which is perfect for those everyday use. 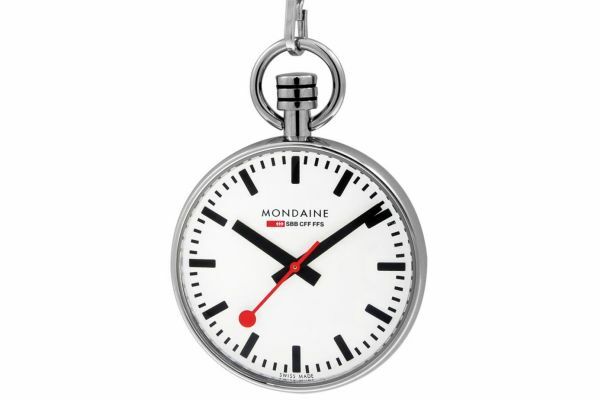 Mondaine Pocket watch A660.30316.11SBB comes with a red leather pouch. For us to size your new Mondaine Pocket watches watch as accurately as possible, please take a look at our downloadable Watch Sizing Guide.